Grace & Micah started their engagement session in the heart of Detroit, MI right by the General Motors building in Hart Plaza. 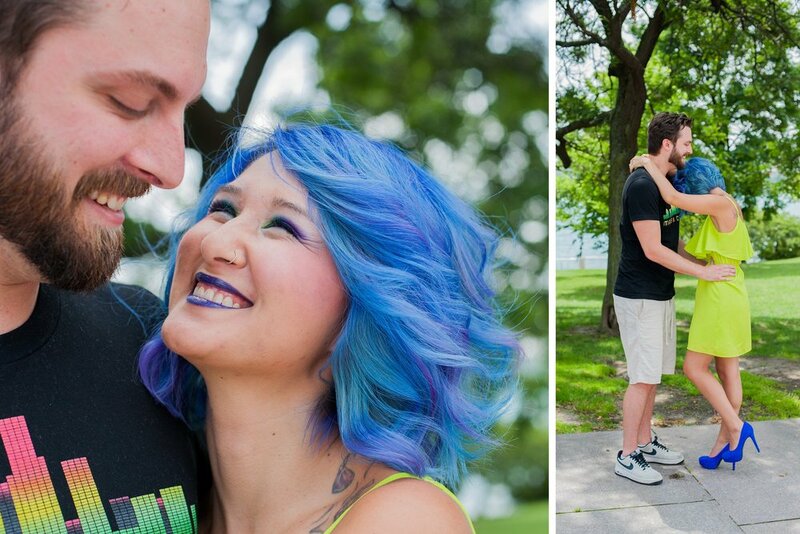 Grace is a hair stylist so you bet she had some crazy awesome blue hair to go with her bright green dress. G & M are so natural together creating a lot of opportunity to capture those candid moments of laughter. G & M worked their way over to an art installation in Detroit, MI known as the rainbow wall. The photos started off civil until they pulled out some neon chalk dust and got crazy. By the end of the session you couldn't tell them apart from the wall. 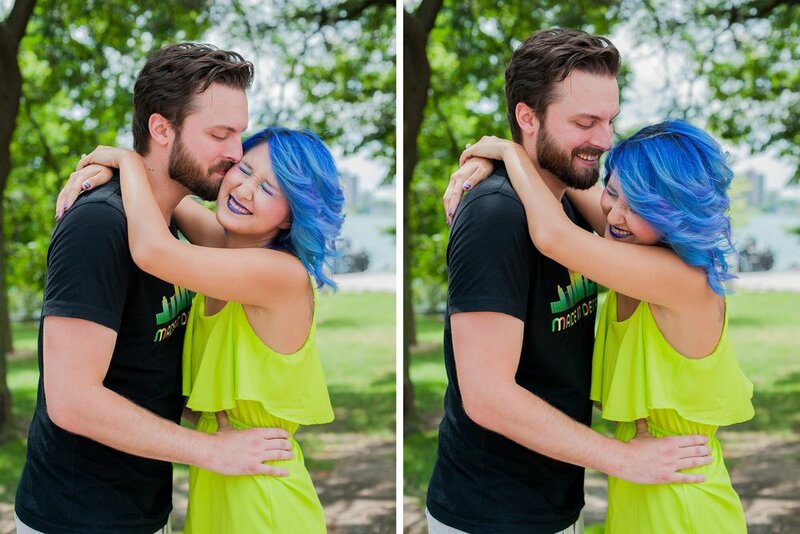 Grace & Micah are getting married in Puntacana next summer and we cant wait to share their amazing wedding day images!